This Mortising Chisel is great for drilling square holes in wood with a mortising machine or a mortising attachment. Square hole drill can not be used on an electric drill, drill square holes need to fit a square hole drill drilling (mortise and tenon machine) to use. Mortise and tenon square hole drilled by the terrible + outer sleeve in the middle of the combination. Reduce labor intensity of construction workers, speed up the construction speed, reduce construction costs for construction, installation, renovation, decoration industries. 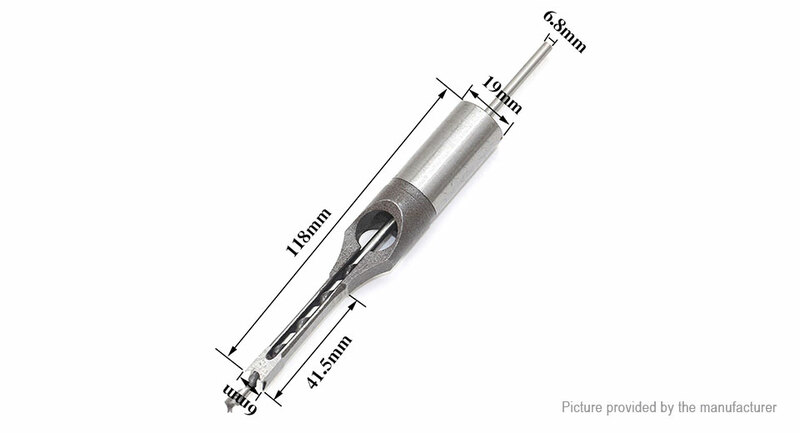 Use matters: Square hole drill is mainly used for woodworking aspects. To machining square hole, must drill the hole or cutting machine processed crude hole, then chisel made from artificial hand. The utility model in the hole drilled by the rotary body, while the impact of the use of hammer impact force transmitted to the outer body, the material crushing round hole and square head wall, a one-time processing of a square hole, and the dust can be broken slag discharged from the tube.